We think more people want to spend less time sitting in their cars. We think parents want their kids to be able to bike or walk to school. We think more people would bike and walk more, if it was convenient and they felt safe. We believe our cities and towns could be much better places to bike and walk. Don't you? Read more about ways to make a donation. Many corporations have a Matching Gifts Program. You may also contribute to us through United Way contributions. As a business member or program sponsor, you'll help us get more Connecticut residents active, get around more by bike or by foot, and advocate for more sidewalks and safer streets. We'll all be healthier for it, and we'll have a cleaner, greener Connecticut to enjoy now and for future generations. Are you looking to get our business's name out in front as a champion for healthy lifestyles and bikeable, walkable communities? Sponsorship opportunities exist for a variety of programs and events, from our Share the Road campaign, to education programs, Bike to Work Day and our Discover Connecticut Bicycle Tours. Click here for information about sponsorship opportunities and let us know of your interest. Why join? Because there's strength in numbers. Your membership makes us stronger! 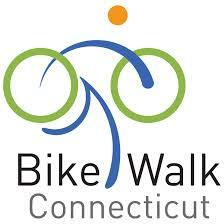 Bike Walk Connecticut's accomplishments are made possible by the financial support of our members, bicycle shop and retail sponsors, and corporate donors. Your Bike Walk Connecticut membership helps make Connecticut a better place to bike and walk. Access to our members-only news group, where we share top tips on funding sources and other good information for advocates, and where the state's top advocates can exchange ideas and information directly among each other. Discounts on all our events, including the Bike Walk Summit, training opportunities, Discover Tour tickets, and the annual dinner.